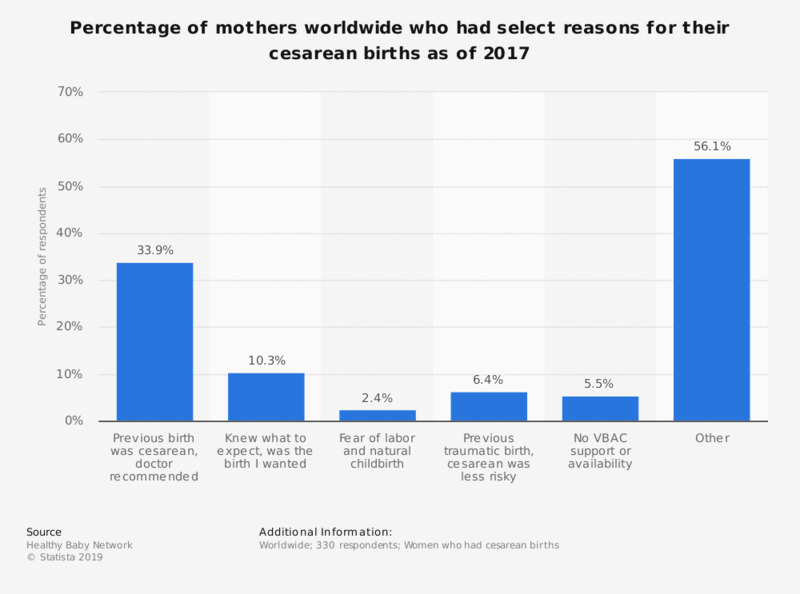 This statistic depicts the percentage of mothers worldwide who said they had select reasons for having a cesarean birth as of 2017. According to the data, 33.9 percent of women said that their previous birth was cesarean or that their doctor had recommended cesarean birth at that time. Question 3: "If elective or planned, what was the reason?"